You could try carb cleaner through the idle screw and mixture screw and see if that dis lodges any crap. Probably something in the jet though. First, I would change the plug. If that doesn't bring it back then I would look at your airfilter and then your carb. You don't want to miss an easy fix like a leaf getting sucked into your airbox. Gas cap vent plugged? Or was that you before? I did the check you guys recomended and nothing helps... its carb cleaning this weekend... or can this be something different? I dunno...I often find people clean their carb because they didn't find out what's really the problem. Sure it could be your carb but there are other things it could be too, so don't get your expectations too high. One idea is bad gas. Perhaps some water/moisture got in your fuel somehow? 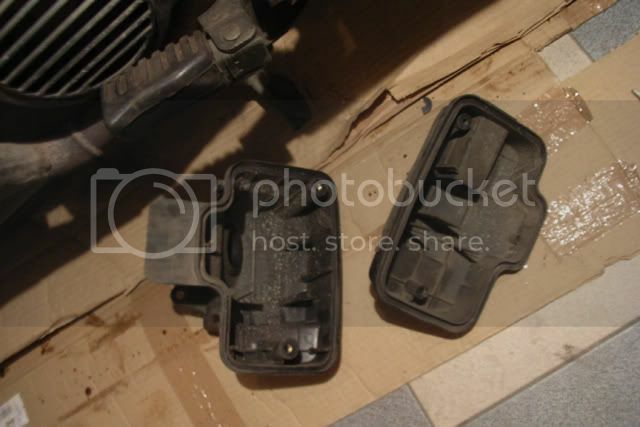 * Be sure that the carburetor is securely attached to the intake manifold and air filter box. 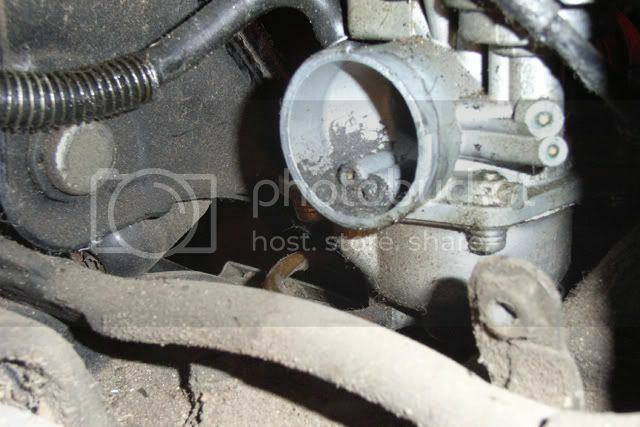 * If you're removing the carb, be sure to bleed the oil pump before attaching the hose. * There could be a problem with ignition timing, which could be due to faulty wiring or a misaligned stator. * The main jet or jet needle in the carb might be clogged or worn. * You might have poor engine compression due to piston or cylinder wear. * There could be problems with the primary sheave, clutch, and/or transmission belt. * Mechanical resistance -- eg, the brakes might be binding? Great thoughts Jeffrey! That's a great list to work through. Even though is not that likely of a candidate, I like to do a compression test as one of the first things since it's easy to do. If your scoot has good compression then you know it's either a spark related or air/fuel mix related problem and you can start narrowing those down. I'm not sure how you check your ignition timing easily but it is good to verify that your have a good spark and that it's properly timed so that you know it's an air/fuel mix issue. how do you perform a compresion test? Looks like you're making good progress. I ordered an airbox filter from my local Yamaha dealer last fall for about $4 so you should be able to get one too. About the compression test, a compression tester tool is basically a pressure gauge that screws into your spark plug hole. So you remove the spark plug, screw in the correct size of compression tester fitting and then connect the gauge. With that hooked up, you use the kickstater maybe 5-6 times quickly and see how high the pressure gets. 90psi is really the minimum for a CV80 and 120 PSI is running like new. Here's a pic of a compression tester. They cost $20-$60 normally. btw.. I took a look at some polish scooter forums about carb cleaning and they recommend to soak it for a couple of hours in carb cleaner (overnight is what they say) should I reassamble it first and soak all the elements apart or just soak it as it is? You can just soak it as is, remove all the jets and make sure they are clean so that you can see light thru them and the carb cleaner will spray right thru, safety glasses are a good idea, that stuff stings. Check float and bowl and the little needle as well.